"It is not true that the mission of the law is to regulate our consciences, our ideas, our will, our education, our sentiments, our sentiments, our exchanges, our gifts, our enjoyments. Its mission is to prevent the rights of one from interfering with those of another, in any one of these things. 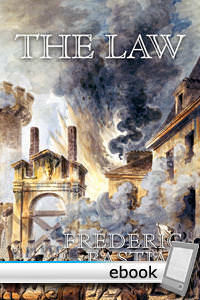 Law, because it has force for its necessary sanction, can only have the domain of force, which is justice."